View cart “Fun Factory Wooden Dolls High Chair in Pink & White” has been added to your cart. Ahoy me matey’s!! 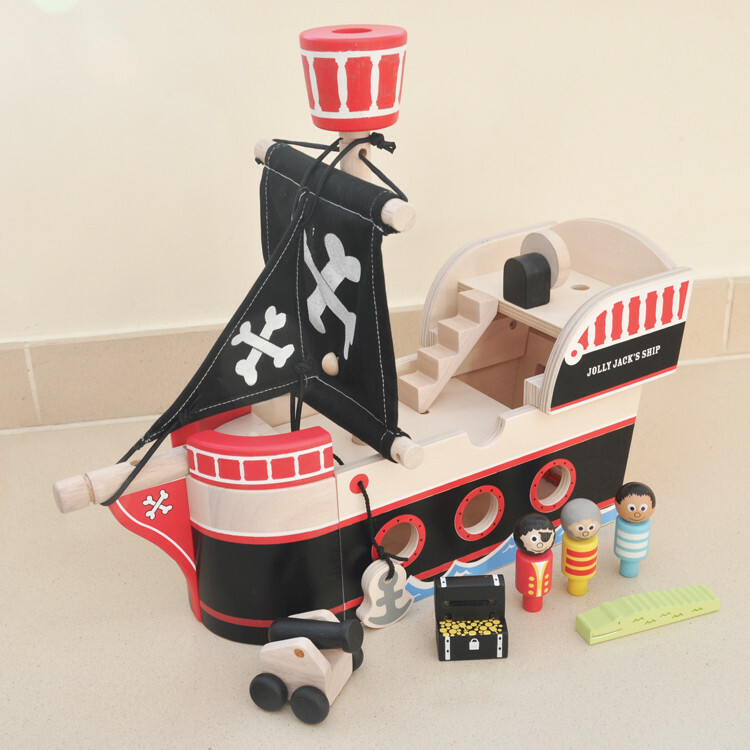 Sail the seven seas with this fantastic wooden Pirate Ship from Indigo Jamm. 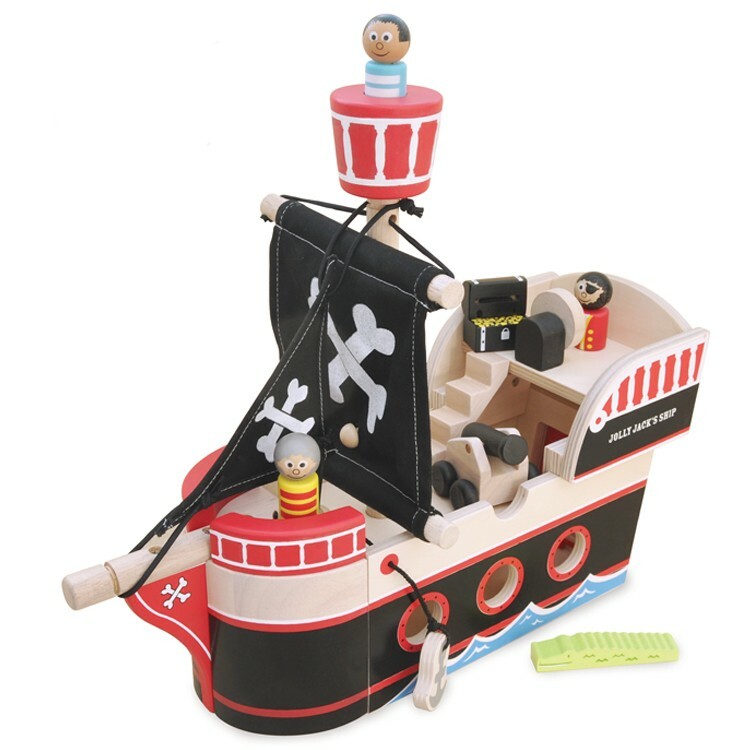 Your child will love creating stories and adventures with the wooden pirates and accessories. Jolly Jack’s Pirate Ship comes complete with three peg pirates, a treasure chest, a hungry crocodile and a cannon. After play everything stores away neatly inside the boat. Made from solid rubber wood and birch plywood. Comes with two sturdy fabric sails and plenty of authentic pirate artwork. Recommended for +18 months. Australia’s only large scale pirate ship certified safe for children under 3 years. Make sure to check out our fantastic Pirate Family for additional characters. Non toxic paint and materials.